Cuba travel has been in the news again. The President of the United States recently announced some changes in the policy of rapprochement that had been set by his predecessor in December 2014. I'm not going to get political, because I've never been one to determine whether a place I travel to is "right" or wrong" (or even "Right" or "Left", for that matter) We travel to experience the people and the place as it is and hope that our connection to other people helps bridge the gaps of our differences. If we refuse to visit places where we disagree with the way they are governed, we'd probably not even be able to leave our own back yard! Since the announcement about changes to Cuban American relations, I've had many readers and friends ask about how to go about seeing Cuba now. They wonder if they should go before things change again, and what is the best way to do it. So I'm revisiting our experiences and giving advice based on what I've heard and read in the last week. If you don't plan to go, you may enjoy Jeff's photos of the people we met in Cuba! As for the latest news, no one can predict what will happen next, but the President has asked the Treasury Department to revisit the current rules. It appears from emails travelers I know have received from their cruise lines with itineraries to Cuba, that they have been assured they can still make Cuba ports of call. As i understand it, individual travel that is not part of a cruise or People to People program will be examined in a different way and possibly restricted. So with this scanty information and not knowing what the Treasury Department rules will eventually look like, here is what I'm telling my friends. 1- Nothing appears to be happening immediately. It seems it will be some time before new rules are made and implemented. If Cuba is on your list, I would definitely not hesitate to go as soon as possible. The issue with Cuban travel is not safety, we felt Cuba was very safe, safer than most major cities we have visited anywhere in the world. The problem seems to be the change in the political approach to the island nation by the United States, and Americans ability to visit freely or do business there. 2-I would not go to Cuba "illegally" right now. While many Americans have gone to South or Central America and simply visited Cuba from there without getting any approvals or passport stamps. I would not do that now. There is no way to predict how immigration officials will react upon return to the United States. Also, there is no predicting that over the next 4 to 8, or more years how an "illegal" visit to Cuba might affect your ability to receive government clearances, or government benefits of any kind. We simply don't know. .Cuba is likely just one of the places you'll visit on a cruise, and the whole vacation wouldn't be canceled if things change rapidly. Also, I've read that the uptick in tourism since rapprochement has lead to some food shortages for people in Cuba. Cruises, which carry their own food on board, are a good way to lessen any of those effects. Our experience with Cuban food was that it is not very varied or spiced; most of the food we ate in both paladares (privately owned home restaurants) and state run restaurants was fairly bland, but filling. A man on the beach expresses his enthusiasm for Americans with his shirt and his gestures! If I wanted to take a trip to Cuba now, and didn't want to cruise or had a special interest, I would go with one of the outfitters that have offered People To People tour for years. These trips usually revolve around meaningful connections between people with similar interests. Our trip was focused on Jazz and Art, which was of interest to our family. Other trips involve bird watching and nature. With rapprochement, many new travel companies applied for and were approved to travel to Cuba with less developed programs. However, the ones that were doing it first have the best connections and resources in Cuba. If things are changing rapidly, a well established outfitter will have a better handle on how to adapt to changes than a newcomer. Three men struggle to maneuver a fruit cart in the streets. What is allowed in and out of Cuba could change at any time. Another reason to travel with an experienced outfitter is that they stay on top of these rule changes for you. If the limits of cigars, art or rum change, they can let you know before you invest in something that could just be confiscated. They will also stay ahead of any itinerary changes required by either government. A local musician who connects young jazz acts with Americans coming to learn about Cuban Jazz reacts with joy to his protegees set. The tour outfitter or cruise line will provide official paperwork that explains the legal reason for your trip to Cuba. You will need this when you return home and for future travel. I keep mine with my passport, but remove it when passing through immigration in any country, including my own until someone asks to see it. No one has asked to see it yet, but we never know when they might ask, so I have it ready to show that I traveled to Cuba on a legal, Treasury Department approved People to People trip. One of the reasons we travel is to see places that are different from where we live, to connect with people in a way that emphasizes our similarities, and seeks to understand our differences. We found the people of Cuba to be open to meeting Americans, and excited for the future. Hopefully, all your travels will be the same! If your idea of a visit to Cuba is sitting on a beautiful Caribbean beach sipping a mojito, you might need to re think that! 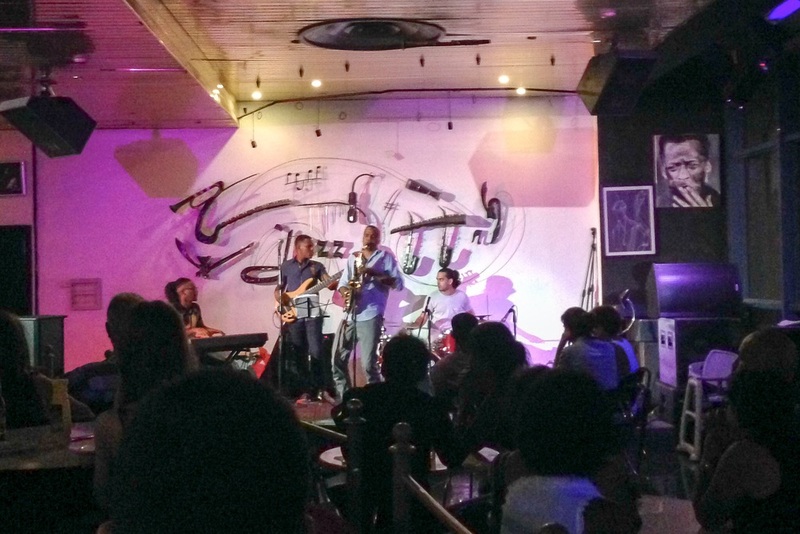 Our family recently took a 5 night people to people exchange with Insight Cuba, called “Jazz in Havana”. We have had Cuba on our list to visit since a neighbor went with his Senior baseball team 5 years ago. It moved quickly to the top once President Obama announced the normalizing of relations between Cuba and the USA in December. We chose this itinerary because it matched the interests of our family, and was a “legal” trip to Cuba. 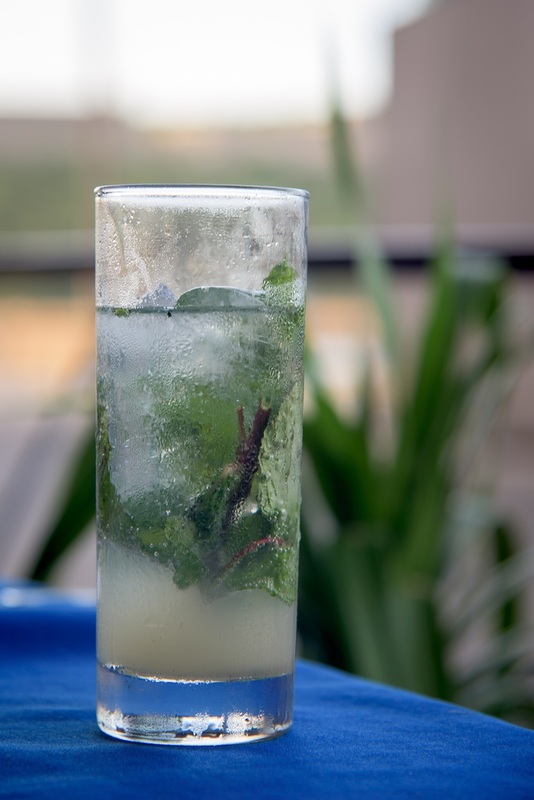 While the mojitos we enjoyed in Havana were delicioso, there were several things we had to consider when planning a trip to Cuba. Here are some things we learned about planning and preparing for a trip to Cuba that we hope will help anyone planning a trip to go see it for themselves! I have a new friend who I've been encouraging to travel more...when I mentioned to him that I was headed to Cuba, he told me he'd go when the cruise ships started calling there. I appreciated his ability to know what he needs! For us visiting Cuba was not a "vacation". Yes, there are beautiful beaches and amazing vistas, (and huge swaths of wild Cuba we never got to see on this trip.) While Cuba was a wonderful host for our tour, things do not run the way resorts in other Caribbean island have learned to operate in order to satisfy the North American market. Resorts and hotels may be state run, or even if run in private partnership, deal with the same challenges the people of Cuba do. One evening while packing, the lights in the hotel blinked off several times for a few seconds. (pack a head lamp) Our hotel was well equipped with generator, but not every place is. 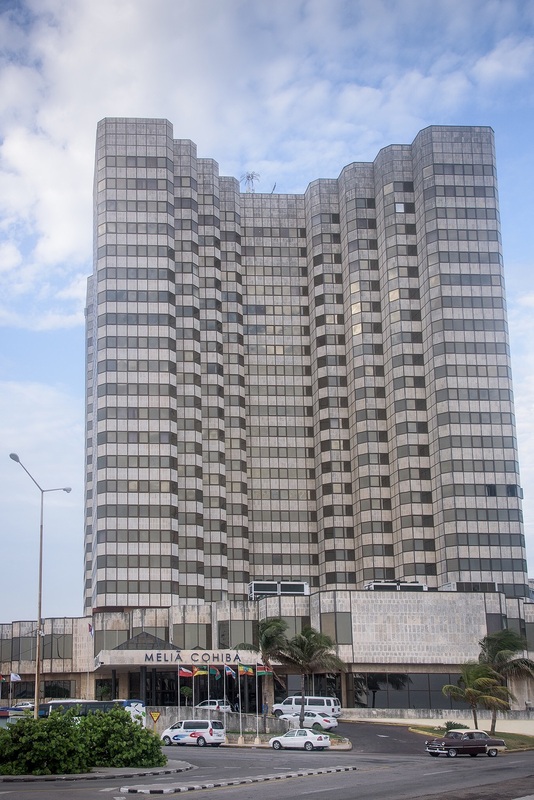 Our Melia hotel in Vedado alongside the Malecon was Spanish run in partnership with the Cuban Government, was well run and very comfortable. Most restaurants are state run, and food is very simple, often rice and beans and fish or chicken. Steak is rare (not as in not well done or medium, but is rarely served) While the Cuban food scene in Miami has a terrific reputation, in Cuba the lack of excellent food sources makes the food scene there far simpler. We found there was always plenty to eat. But there are some folks who need know their comfort level around food and lodging and decide if a trip is a good idea right now, before things change, or later, when there is more investment in tourist infrastructure. The trade off for going now, is that Cubans are mostly surprised and delighted to see people from the US, and that you get a chance to experience a culture that's still relatively untouched by recent global influences. A typical meal served during our visit to Cuba; fried plantains and rice and beans. Think through the long term ramifications of taking an "illegal" trip to Cuba. One quick perusal of “Cuba” on Trip Advisor will show that Americans can visit Cuba from several Central American countries quite easily and cheaply and no one reports they are given more than a passing glance by immigration for the gap in their passports. (Unlicensed visitors from the US don’t get Cuban passport stamps, so if you enter and leave Grand Cayman in the same day and then return to Grand Cayman a week later…There’s a gap there) Right now things are opening, but political winds can change here in the US and that gap in the passport may cause hardship later when trying to get security clearances for any number of things later- including military, job, or expedited travel programs. We had reasons to travel legally, and so we chose Insight Cuba for a cultural exchange that matched our interests and our schedule and for it’s reputation for the destination. If you take a people to people exchange know your itinerary, and be sure it matches your interests. Tours vary from educational exchanges offered by universities, to nature trips led by leaders in photographic travel market. Because the US Department of Treasury must approve the itineraries and requires participants to participate in all activities for the group running the trip to continue getting the licenses. They require full days revolving around the topic of the exchange. You need to be sure you will be happily engaged in those activities for several hours a day. In our case, Jeff is an avid photographer, with an interest in environmental portraits; the emotion of music and performance lends itself to excellent photographic possibilities. Our eldest daughter is a design student whose own work is based in found and reclaimed materials. The visits to various community projects were inspirational to her because the artists by necessity are using cast off materials to create their work. Our youngest daughter has in interest in history, politics and a planned Spanish minor, as well as plays saxophone in several bands. The ability for her to jam with Cuban musicians (and quite a few talented musicians from our own group!) was a highlight of her experience. So while our family found the whole tour incredibly engaging, some in our group who had specific interests in cigars and old cars, might have found an exchange related to those interests more suitable. A woman we met on our charter is a school teacher and went on an educational exchange sponsored by a university. My neighbor went to play and meet baseball players, and another couple I know took who are ardent birders took a nature trip, with opportunities to connect with naturalist in Cuba. However, our Insight Cuba guides did their best to learn everyone’s interests ahead of time and to make connections for all guests with Cuban people with the same interests at every step of the way. Our Jazz in Havana tour included unique experiences like meeting and jamming with young Cuban musicians at a top recording studio. Having an interest in music and art made this an amazing experience! Our Jazz in Havana tour was more than capably led by Alfredo, our Insight Cuba Tour Leader, an American of Costa Rican heritage and Yilam, our government employed Cuban guide. They provided a wonderful tandem of logistics and local knowledge that rivals other high end, small group guided tours we have taken. Yilam recalled that our daughter had a desire to bring home a few Cuban Pesos (the local currency tourists don't normally use- see money below) and asked specifically if our daughter had found them before our charter home, and would have made that happen for her had she not. Others in our group had interest in ballet or cabaret or old cars or cigars, and our guides worked together to ensure that opportunities for viewing or shopping or ballet tickets and transportation were arranged. That kind of attention to detail and to the individual needs of tour members is the kind of “high touch” touring that for us, makes the experiences memorable and a good value. Right now, there are so few licenses granted that most of the operators are excellent at what they do...really, National Geographic and International Expeditions are leaders in the nature travel field, so you can expect their tours anywhere will be top notch. When things open up, this will require more research, as more operators get into the business of offering Cuban tours with little to no experience on the ground. Our guide Alfredo not only handled logistics and translation, but he was able to share insights into the people and place and prepared us for what to expect during our experiences meeting local people. 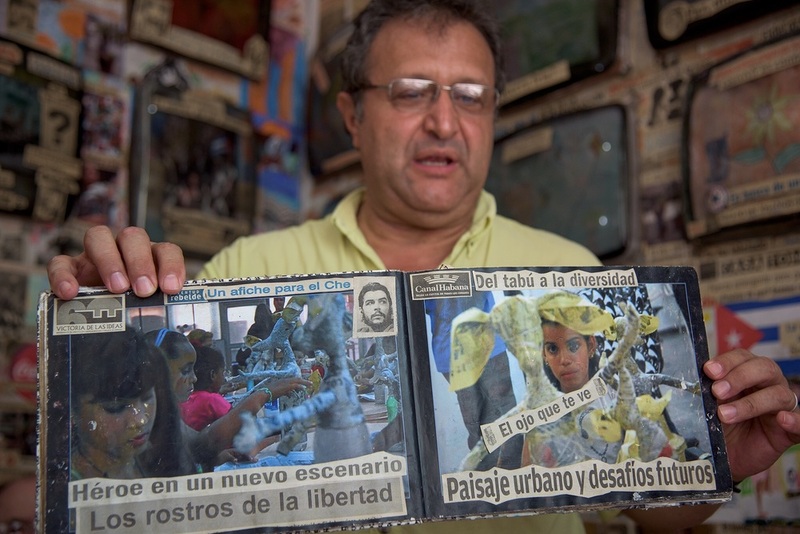 Here he shares a scrap book of art work made by the children at an after school project we visited during our tour. In the US and other countries we visit, we are used to whipping out our credit or debit cards, but because of the embargo, American credit cards or ATM cards do not work in Cuba. Some cards are starting to advertise use in Cuba, but the infrastructure for "charging" exists in very few places at all. That means bringing all the cash you'll need with you in American dollars and converting it in Cuba. Cuba works on a two currency system. The Cuban Peso is what Cubans use in their own daily economy. The Cuban Convertible Peso, called a CUC (and pronounced kook) is the only form of currency you can exchange for your dollars. It is tied to the U.S. Dollar and currently, all exchanges are made by the government and a 13 % fee is charged right at conversion. Unlike other countries you'll travel to, you generally won't find some places like hotels charging a far higher rate, it's mostly standardized by the government. After conversion, the 87 CUC you are left with converts exactly to USD, making it easy to figure out the price of things. Things generally cost less than the U.S., obviously, but the tourist items and services priced in CUCs are generally unaffordable to ordinary Cubans. Money is easily changed at the airport or your hotel and the exchange fee of 13% applies everywhere. Because it's not a set fee per exchange, but a percentage, it's best to exchange money as you need it, because changing back usually compels another 13% fee and the CUCs are worthless and unexchangeable anywhere else in the world. There are stiff penalties for Cubans trying to exchange money for tourists or using American dollars. The left hand and top two right hand bills are Cuban Convertible Pesos (CUC) used by tourists and are equivalent to the USD. The bottom right hand bill (featuring Che Guevara) is the peso used by Cubans. Our guide explained the easy way to tell with a quick glance is CUCs have a statue or monument on them, the pesos have a portrait. Customs limits can change, weekly, daily, maybe hourly! At the time we traveled, we were allowed to bring back $400 per person, in goods from Cuba, with no more than $100 in rum and cigars, but an unlimited amount of art, so long as it's not original art of national importance to Cuba. (Which cannot leave the country) We were asked by an official to open a tube with an original art print in it that we bought at a gallery and pay a small duty on it. (About 3 CUC) A tube with hand screened prints from the museum did not require duty. Again, this is where a good guide is invaluable. If the rules change, they will know and let you know. Generally, a good cigar is about $25, a bottle of Cuban rum is less, but packing it is challenging (it has to go as checked luggage) Outside of artwork, rum or cigars, there is little that you could spend 400 dollars on in Cuba. We visited a print shop and gallery where original artwork was available, including this work celebrating the opening of relations between the U.S. and Cuba. As far as health, our guides gave us the usual warnings about not drinking the water or eating foods prepared with unfiltered tap water. All of the government and private establishments we visited as part of our tour used filtered water and ice and fresh vegetables were "ok" to eat in all the places we visited. Despite this, about 1/3 of our group had some kind of GI issues. A couple of folks were laid low for a 1/2 a day or so, with a couple older folks requiring a shot (I'm assuming this is an antibiotic?) and IV rehydration at the infirmary at the hotel. They all described the care as very good and attentive with the nurse who was on site at our hotel 24/7. It's purely anecdotal on my part, but those of us from the East Coast with more extensive travel in the Caribbean and Latin America seemed to have fewer GI issues, but that's too small a sample size to be proof of anything. Because of the difficulty buying even over the counter medicines in Cuba, it's a good idea to travel with your own medical kit. I always do, and here is a link to a post about the way I put my own kit together before each trip. See link here. Between the public cigar smoking and old diesel engines, the air quality is a challenge to anyone with respiratory issues. I was getting over a cold and normally do not struggle with lung issues, but I had several asthma attacks from reactive airways during visits to smoky clubs and closed in recording studios where smoking is allowed indoors. I was fortunate that my asthmatic daughter had brought along her inhalers (the same my own Dr has prescribed for me in the past) and I was able to use them to arrest my coughing fits. Most government run "tourist" restaurants and clubs do not allow indoor smoking, and so those are good options for people with respiratory issues. Infrastructure has been neglected in many places due to lack of resources, there are few ramps or accommodations for disabilities and sidewalks and roads are rough. It's really important to look where you are going and have good walking shoes. This applies even to people in great shape with no impediments. Bridges can have missing or broken planks where anyone not looking down could have a leg fall through. Holes in sidewalks are large enough to trip anyone up. I found it a good idea to look ahead of anywhere I was going, upstairs, or along a walkway to see if it met my safety standards before proceeding. This smoke filled cigar bar exacerbated my cough, even though the jazz band was well worth the trouble! As in most Caribbean places, the most dangerous thing is the sun! Good sun screen and a hat are always good idea! On our tour bottled water was provided every day, and it's important to stay hydrated! Anyone who follows my work knows that I do not shy away from addressing, ahem, delicate issues. So it's time for potty talk! For some reason there are a lack of toilet seats in Cuba. You may need to visit several stalls to find one or ...err, squat. Most toilets are staffed by an attendant who will expect a few coins, it's a good idea to carry these, along with toilet paper and hand sanitizer at all times, since either soap, water or paper or all three can be lacking at various times. Usually, if you pay a coin the attendant will supply a little paper, but there is no guarantee. Again, our guides were invaluable in steering us to the best equipped potties or at least letting us know what to expect! Like most developing places, anything that wasn't once food or drink should go into a trash receptacle, not into the toilet. Our bathrooms at the Melia Cohiba, our home base for the week, were very well quipped with no shortages of TP or toilet seats! We found Havana far safer than most metropolitan cities we have visited. We were told penalties for crimes against tourists are very severe, and so we found it very safe to navigate the city as tourists on the nights we were on our own in Havana. While Jeff took photos, our daughters and I wandered on the Malecon alone, and were not bothered by hustlers, or harassed by men for being unescorted and we never felt threatened by pickpockets or muggers, as we might be in other major cities. One of the many lovely couples we interacted with while strolling along the Malecon. Almost all young Cubans we met were excited to meet people from the United States and discuss what the future might hold. One night after the four us finished dinner near the Capitolio, we engaged a man on the street to find us a cab. We had read this would cost us a CUC, and did not mind paying, even just for the opportunity for the interaction with a young man not associated with tourist trade. A friend of his pleaded with him to be allowed to "taxi" us, despite not having a licensed taxi. We agreed to this because we wanted the experience of riding in the unlicensed taxi, which was an old soviet Lada car. It could have been disastrous to do this in any many cities, but we never felt any concern that we would be robbed or kidnapped, or re routed to another destination and scammed. We felt simply that these enterprising young men wanted our CUC, and we were willing to ride in a "cab" with doors that flew open while riding down the Malecon, no AC and cranky window cranks! It was an experience we laugh about today, and one I'm glad I had, but we never felt in fear of being taken advantage of at any time. The Lada we rode home in was not a tourist taxi, but it was a fun experience! The very first things everyone mentions when you say you are going to Cuba are "cars and cigars". There were lots of things about Cuba that were surprising, a lot that is controversial, but one thing that knows no politics is the interest Americans have with the "cars and cigars" of Cuba. Some old cars along the Malecon in front of the Old Fortress. Not only are the old cars the first thing mentioned by many folks I told them about my trip, but they were also mentioned as one of the first things that will change with the opening of relations between Cuba and the United States. For more about the changes see my post "We CanAll Agree On Change"
When I placed my call to book our Insight Cuba "Jazz in Havana" people to people exchange, the staff member I spoke with mentioned that her friends in Cuba (who are lucky enough to own one!) were anxious to get rid of their "old cars", and she was certain that collectors would be happy to get their hands on them! Even for the biggest gear head, the constant struggle to upkeep these vehicles with little means and ability to import parts is a challenge, and most folks are ready for newer, easier to maintain vehicles- if they can afford one at all. Of course, most of the better preserved mid century American cars are owned by the government or private owners and serve as taxis for tourists, and given the "branding" of Cuba with old American cars, the government and those private owners supplementing their income with private taxi service are not likely to give those up! Cruising along Havana's Malecon in a vintage American car is "bucket list" experience for most Americans. It's unlikely the Cuban government or private taxi owners will sell cars like these that they use as tourist taxis. There were several things about the cars in Cuba that surprised me. 1- Most people have heard about the "old cars" in Cuba. What comes to mind are the often photographed American classics from the 1950s. What was surprising are all the 20+ year old cars, mostly simple stripped down diesel Ladas imported from communist Russia in the 1980s and early 90s. Another old Soviet era car sits near "Our Lady of Guadelope" art work created from old tire rims at the Muraleando Project. 2- Ordinary Cubans can buy cars. This is a more recent development, but most Cubans still cannot afford them. Oftentimes, a handful of partners will pool their resources and buy a used car and share the revenue operating it as a taxi outside of their regular government jobs. If you spot the very rare brand new vehicle, it is almost always owned by an ambassador or one of the embassies in Havana. At the airport, relatives arriving from the US call upon someone who owns a car to transport the goods they are allowed to bring in for their families. A "P" on the license plate indicates a vehicle is privately owned. A rare "new" car in Cuba alongside a private "old" car. 3- Most engines in the old American cars have been replaced to operate on diesel fuel which was what was available from the Russians before the 1990s. This is the old diesel and not the new cleaner diesel used in the U.S. and Europe today, and I noticed a difference in the air quality with the old diesel and gasoline engines being used. 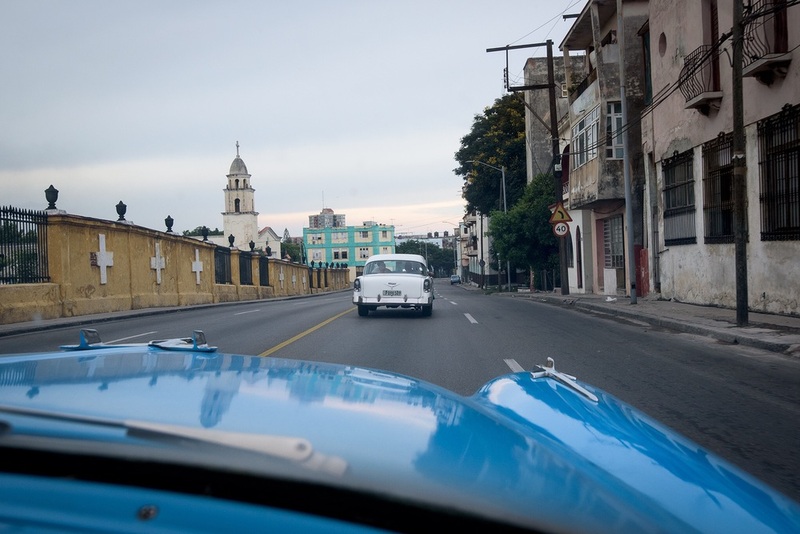 Below is a photo essay of the Chevy we took on a tour around Havana. We were with a group of about 6 similar taxis, only 2 of them had the original engines. Several of us took Chevrolet taxis on a tour through Havana including the Revolutian Square. All but one or two no longer had the original engines. The mid century dash boards are well preserved. Riding in a car built before my time was a thrilling way to see the city of Havana. fins and chrome, that's what the car lovers love to see! Perhaps the biggest surprise of all, was just how few cars there are at all in the city of Havana. Usually one thinks of large cities as places with traffic jams, even in palces where relatively little of the population owns cars, they still dominate the major cities! But in Cuba, because of the 50+ year embargo and the only very recent rule change allowing Cubans to own cars, there are very few cars on the road. At "rush hour" on a major ring road around the city, no more than a 1/2 dozen cars make their way down the road over the course of a few minutes. The good news is there were no traffic jams while we were there! We were able to walk across the 4 lane highway from our hotel to the Malecon with little concern for our safety and almost no waiting. A view to the Malecon, with its major ring road around the city, with no traffic and virtually empty parking lots at 5 PM on a weekday. We noticed that there is a lot of infrastructure for vehicles in Havana, wide roads with multiple lanes, newer constructed bridges and tunnels, but there was hardly any traffic using them. While buildings and sidewalks in Havana were often in poor condition due to lack of resources, the roads and bridges seemed to be in good shape, largely due to lack of use. 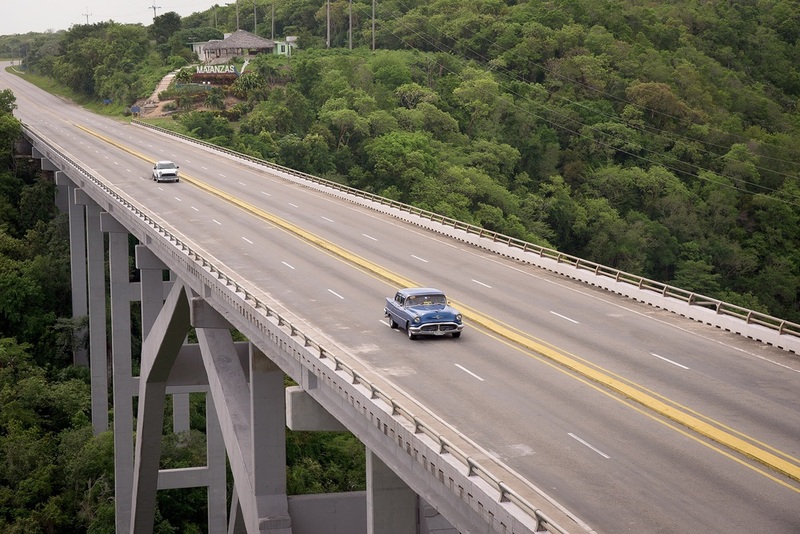 The main road out from Havana to Matanzas features a huge 4 lane bridge, the Bacunaygaua Bridge spanning the Yumuri River. Despite this being the main east/west route into Havana, Jeff found he had to be patient to photograph it with a vehicle on the span. Toward the end of our stay, Jeff decided to go stand on the traffic island in the middle of the 4 lane road that parallels the Malecon (sea wall) in the Vedado section of Havana. Despite it being a busy Saturday evening along the Malecon, patience was required to wait for a vehicle to go by to photograph! For contrast: several days earlier we had been in South Beach Miami, along Ocean Ave on a Saturday night. The traffic ground to a near halt, with people showboating in their vehicles bumper to bumper up and down the strip. Overall, the "old cars" we expected to see in Cuba did not disappoint- in the city there some beautifully preserved old cars operating as tourist taxis, and lots of intersting older cars families have owned for 50 or more years and keep running with a lot of creativity and determination. And while we enjoyed traveling in and by some of those old cars during our stay, we learned that most of the people in Havana take the bus! Cars, trucks, motorcycles, buses, on the road in Matanzas, most Cubans (seen waiting here) take the bus! It’s the one thing everyone, citizens of the USA and Cuba can agree on. Change is coming. How change will manifest itself, is where the debate starts. During our recent people to people exchange tour of Havana, the Cuban government employed guide was open and honest about answering questions about her opinions. We wandered at times unescorted, welcome to engage Cubans on the Malecon (sea wall) in Havana and in the various community projects we visited. Cubans we met, were worried about what the changes would do to their country and culture, but they also seemed excited about the opportunities. My own opinions about Cuba were always influenced by the narrative of the exiled Cubans living here in the United States, but I realized that I didn’t always agree with their opinions on other political issues, so why should I take their word for it? I should (wait for it!) GO SEE IT for myself! Our family recently took a 5 night people to people exchange with Insight Cuba, called “Jazz in Havana”. We have had Cuba on our list to visit since a neighbor went with his Senior baseball team 5 years ago. It moved quickly to the top once President Obama announced the normalizing of relations between Cuba and the USA in December. We chose this itinerary because it matched the interests of our family, and was a “legal” trip to Cuba. One quick perusal of “Cuba” on Trip Advisor will show that any American can visit Cuba from several Central American countries quite easily and cheaply and no one reports they are given more than a passing glance by immigration for the gap in their passports- Unlicensed visitors from the US don’t get Cuban passport stamps, so if you enter and leave Grand Cayman in the same day and then return to Grand Cayman a week later…There’s a gap there) But we had reasons to travel legally, and so we chose this Insight Cuba for a cultural exchange that matched our interests and our schedule and it’s reputation for being an expert in legal Cuban travel. Because the US Dept of Treasury must approve the itineraries and requires participants to participate in all activities for the group running the trip to continue getting the licenses, there are full days that revolve around meeting with Cubans about the topic of the exchange, which in our case was jazz and art. My own quick read of the history is that a long time before most Cubans and most Americans were born, there was a Revolution in Cuba, where the US backed leader of Cuba was deposed and exiled and Socialism was introduced. The US hoped to muscle their guy back in power to protect its own interests, and started an embargo, hoping that strong-arming its allies into also depriving Cuba of trade would bring a quick end to the Revolution. That didn't happen and the USSR allied with Cuba, hoping for a strategic location near it's enemy of the Cold War and supported the economy of Cuba in many ways until the 1990s. When the wall fell, and the support went away. The 90s were a difficult time for the Cubans, with little international financial support, and little resources of their own, most of the young people in Cuba were born or lived through a time of great challenge. Years later the embargo and it’s effects on Cuba are still in play. The best analogy I heard about this was from our guide at the National Art Museum- more than 50 years later this is like a blood feud between two old aunts in the family who refuse to speak to each other; no one remembers exactly why, but the cousins still want to play together. For the young people of the United States and of Cuba, this is not their fight. Young Cubans want to make progress, whether that means iphones and internet, or having the ability to earn a living and some extra. Young Americans are curious about a place that has been off limits for reasons they may not have fully explored in history class. My own opinion is that every country and form of governance has it’s challenges and has its benefits. The only way for the people of one place to see if there is something better somewhere is else is to be open to the differences and learning about them. I personally try not to allow judgment to enter in the equation (this is a “good” place or “bad” place) because the United States is one very big glass house. It seems there are lessons to be learned in what works and what does not in every society and the best way to better any society is to be open about sharing those ideas and for people to connect, which is exactly what we did! Members of our Insight Cuba Jazz in Havana group dance with dancers from the Santa Amalia project. What we learned surprised us. A recent trip to Central Europe, and the Balkans introduced us to people liberated from Communism in the 90s and the mentality of the people 15 -20 years later was one of despairing. They felt that capitalism has not brought what they hoped for and many people were still waiting for things to get better. Many young people have left those countries to seek their fortunes in other places. Many people we saw were idle and a bit hopeless, not sure how to capitalize on capitalism. In Cuba we saw a currently socialist society with an entrepreneurial edge. Nearly every person we met in Cuba had a government job (making the equivalent of about $15-20) and a ration book for food and an apartment provided. But recent changes allow people to buy their own homes and cars and start small home businesses. Now it seems nearly every person we met also had a small entrepreneurial side business. Government musicians sell CDs on the side, artists in government community projects get to keep (and pay high taxes on) art they sell to tourists. Even delivery men seem to have dual roles, delivering whatever they need to for government run restaurants while selling water to tourists. This "side" economy with outsiders is what drives the personal economies of whole families in Cuba and one of the reasons Cubans hope change will come. 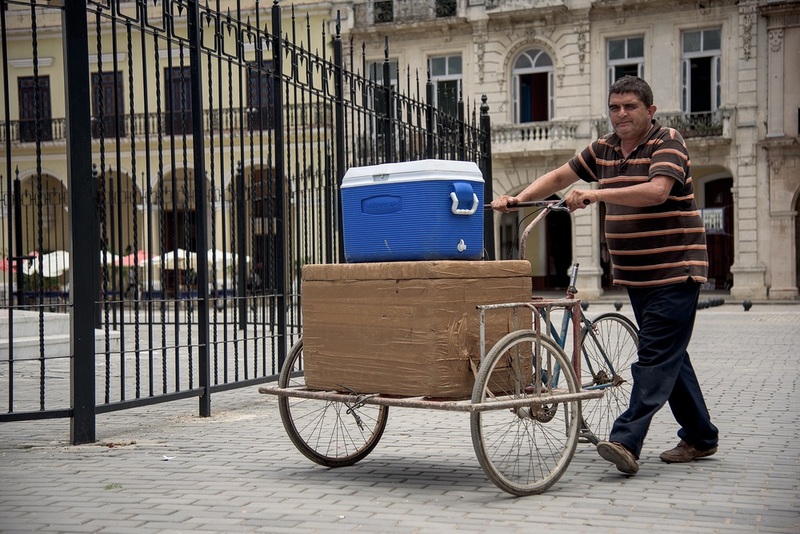 A man makes deliveries for work, and sells water to tourists from a blue cooler, likely it came into Cuba with relatives on charters from Miami. We saw everything from bike tires to hula hoops and baby strollers on the baggage claim in Havana on our Miami charter. But we also encountered Cubans who felt there was grave danger to their culture with unfettered capitalism and influx of North American culture. We encountered such joy and commitment to the arts in Cuba. The government fully subsidizes incredible art and music schools and projects with what it can, and it makes the arts accessible to anyone, not just, as is often the case in the US, people of means. 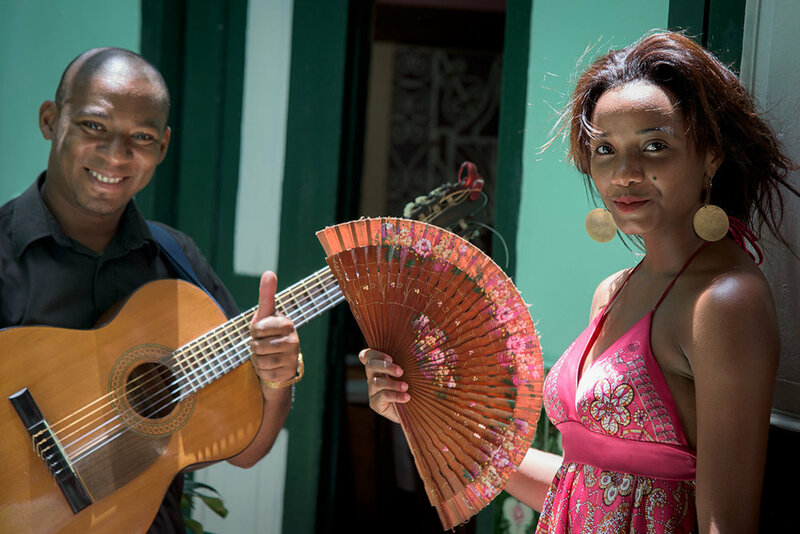 There is joy in the music and the art that Cubans make, despite very real challenges in daily life we witnessed. My husband made his own observation shortly after arriving in Cuba and seeing how joyful and musical the people are. He said it reminded him of the Whos in Whoville. Despite the fact that in Theodore Geisel's (Dr Suess) children's book, the Grinch had taken every trapping of Christmas; every last wreath and thumbtack, the Whos still woke up Christmas Day singing. And in Havana, despite a deep lack of material things caused by a long embargo, and crumbling infrastructure, the people are making music, they are making art, they are joyful and friendly, and while life is hard, they seem happy. Cubans are rightly afraid that their unique culture and happiness despite a lack of material things might be diluted by the influx of American culture and businesses that benefit people unevenly. Community members dance at Muraleando, where locals have created art and music projects to enliven and enrich their cultural community. Lots of questions remain as each country works through what each is willing to accept from the other, but everyone agrees, change is coming. For us it was really important to go Cuba now (before the changes) and share what we experienced with others who might be curious. We will surely go back to Cuba in the future, (probably on a cruise ship) if the current path towards reconciliation of the US and Cuba continues. But we know it will never be exactly as it is now again. Classic old US cars are still in use 50 years later. A staffer at Insight Cuba told us the Cubans she knows are as anxious to sell the old, tough to maintain relics as collectors in the US are to get their hands on them. Everyone expects the way the roads in Havana look now to change in the coming years. Upcoming: we have lots more photos and stories from Cuba and plan to post about the practical considerations of travel to Cuba now, more about the art and music and people we experienced, and of course, everyone is curious about the cigars and cars! Jeff has a running joke about me...that I'm not happy unless I have at least 3 trips booked at any given time! And I'm embarrassed to say, he's not wrong! Last year I traveled to the Florida and the Bahamas on Enchantment of the Seas with my mother and teen daughter. In September and October, Jeff and I traveled to Eastern Europe and Danube River cruise on AmaPrima, and we took a college visit trip to Minnesota. So it seems there is always a trio (or more!) of trips to pack for each year. But I would argue (and I do!) that this because we take a very programmatic approach to fitting in the destinations we want into an already really busy life, and generally, we plan travel well in advance. With short vacation times, and our usually aggressive plans to see and do a lot in that short time, we like to book trips early to have plenty of time for planning and to ensure we get our first choice of all the components we want. The best hotels, cruise cabins or guides can book up even a year in advance! We almost always book our trips a year or more in advance. That all changed this year! Sunset from the Grandeur of the Seas; wondering about that distant Island! For years, when we've cruised the Caribbean from Florida, and I've always looked out the window on our sea days as we passed by Cuba, and been fascinated about this place. After all, the place we just left- Miami, throbs with energy and music of a huge Cuban American population there. What is the island they left like now? It's another of the world's politically complicated place, but our travel philosophy has always been that going to a place and learning about it, meeting the people (if that can be done safely) is the best way to learn about the differences and make an informed opinion. I knew that for years an embargo trade and travel in Cuba had left citizens of the US on the outside, and people in Cuba unable to share the stories of their lives with us. In 2000, some limited travel on "people to people" exchanges was allowed by the US government for the reasons I mention above, but they were discontinued in 2003, and resumed again in 2011. Ever since sailing by (at quite a distance to stay in International Waters) and seeing the lights glittering on Cuba and miles of undeveloped beaches, I imagined what it might be like to visit there. I put a "people to people" tour to Cuba on my list, when the licenses started being offered, but having at least 3 trips booked already, I didn't exactly have a "spot" on the calendar for a trip to Cuba. But we wanted to fit in a short trip, between other travel we had planned. At the time I had trouble finding an operator that offered a shorter trip; several were island tours lasting 10-15 days. (Overseas Adventure Travel, National Geographic, Natural Habitat, Roads Scholar, Friendly Planet etc) That's a luxury of time we didn't have, so I put it off and other trips made the top our list. Our daughter almost traveled there with a high school group (and we were angling to find a way to latch onto that trip- after providing some pretty good photos of a prior student exchange, we were hopeful the lure of Jeff's photos might convince the teachers to let us join as chaperons!) but the tour company the school planned to use failed to secure the necessary license and that trip was cancelled. On December 21st, President Obama announced the normalization of relations with Cuba. Politically, it will be debated, but one thing that will not be debated is that a change in US policy will mean changes for Cuba. Eventually, I imagine, US based Caribbean cruise ships will make regular ports of call in Cuba, and I will likely set foot there many times in the future. But the announcement increased the urgency for us to see Cuba now before it changes! This thought was confirmed when I called Insight Cuba to ask about their trips. 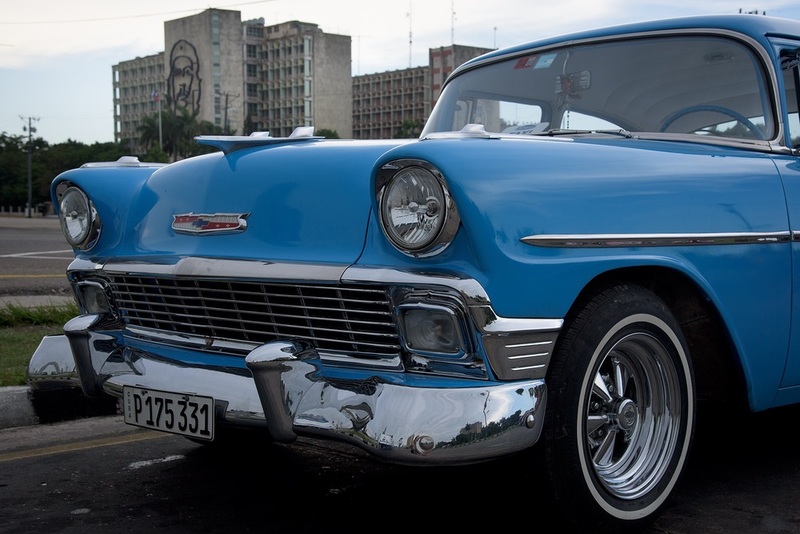 The representative, who has spent considerable time in Cuba, explained that her friends there could not wait to sell those old 1950s cars and buy modern ones! And I can just imagine the American antique car market salivating over those old cars coming into Miami via barge! While we talked she confirmed my feelings that things are and will be changing in Cuba and NOW is the time to go to have a sense of that change when when I step off a cruise ship into Habana 10 years from now! Less than 6 months to do my research! So, we did something completely uncharacteristic for us! We booked a trip less than 6 months away!! (only 6 months to plan- how will I cope!?!) In June 2015, we will take Insight's Jazz in Havana tour. Insight offers people to people tours with guides and all the appropriate licenses. It's under the umbrella of a development organization that uses all the profits from the Cuba trips to pay for volunteer travel to other locations across the globe where they do development work. It is only 5 nights, so fits perfectly in our schedule. The Jazz in Havana trip with visits to art galleries and museums, artists homes, and meetings with jazz musicians in Havana night clubs, is perfect for our daughters; a saxophone player and a design student. Jeff is already salivating over the photographic opportunities, and I am looking forward to practicing my Spanish, dancing and meeting Cubans for myself in their home! So...what about the other 2 trips Jeff insists I must have booked? Well, there might be more than 3 booked now! I have plans to travel to Florida next week and hope to blog live how to find "real Florida" among all the man made tourist attractions! In April we will be sailing Adventure of the Seas from San Juan Puerto Rico, visiting Barbados, Antigua, St Marteen, St Lucia, and St Croix. Lastly, we've booked passage on the Azamara Journey from Miami to Cartegna, Columbia, through the Panama Canal and along the Pacific coast of Costa Rica in early 2016.